The key to losing weight is about eating fewer calories than you use. It’s the math around energy in versus energy out. It sounds easy, but because of the way foods and their nutrients interact with our bodies, it can be a bit harder in reality! Then once you’ve lost a few kilos, the trick to maintaining your weight loss is all about balancing out what you eat with what your body needs. 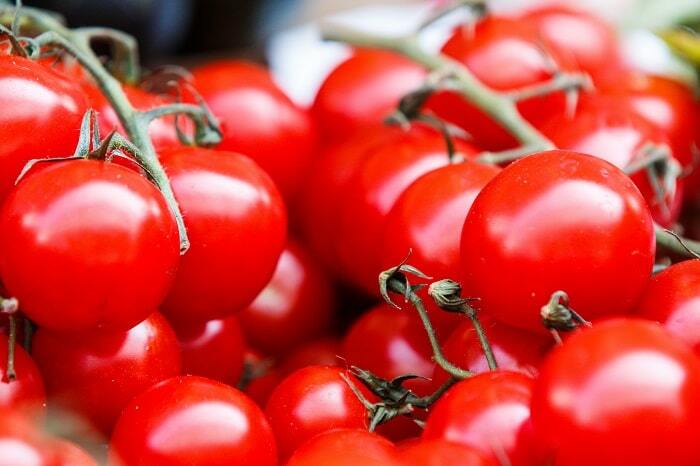 Fresh tomatoes are technically a fruit although we use them as if they are a vegetable. Enjoy them in all their sizes and varieties from sweet cherry sized to bigger “beefsteak” tomatoes. Tomatoes have a high water content to keep you hydrated and are a good source of Vitamin C. 100 grams of tomatoes, or 3.5 ounces is only around 20 kilocalories. Copyright © 2018 by GT Media.